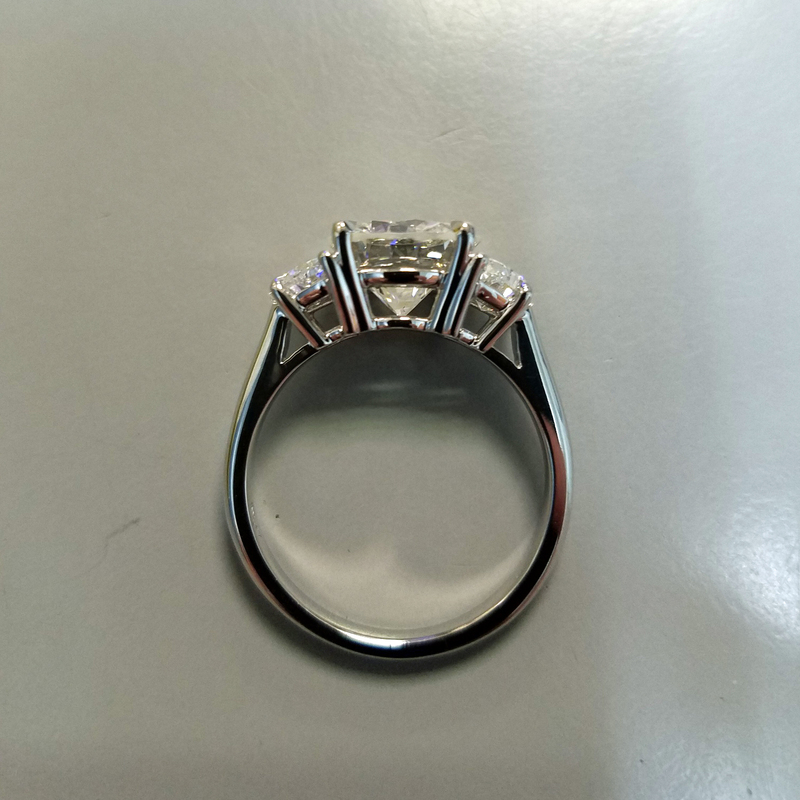 Round Center Half Moon sides | Gelber & Mundy Jewelry Co. Inc. 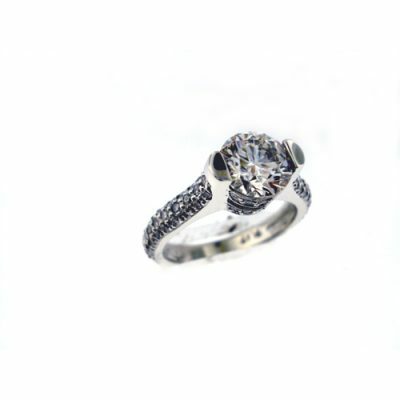 Available in any size diamonds in any metal. 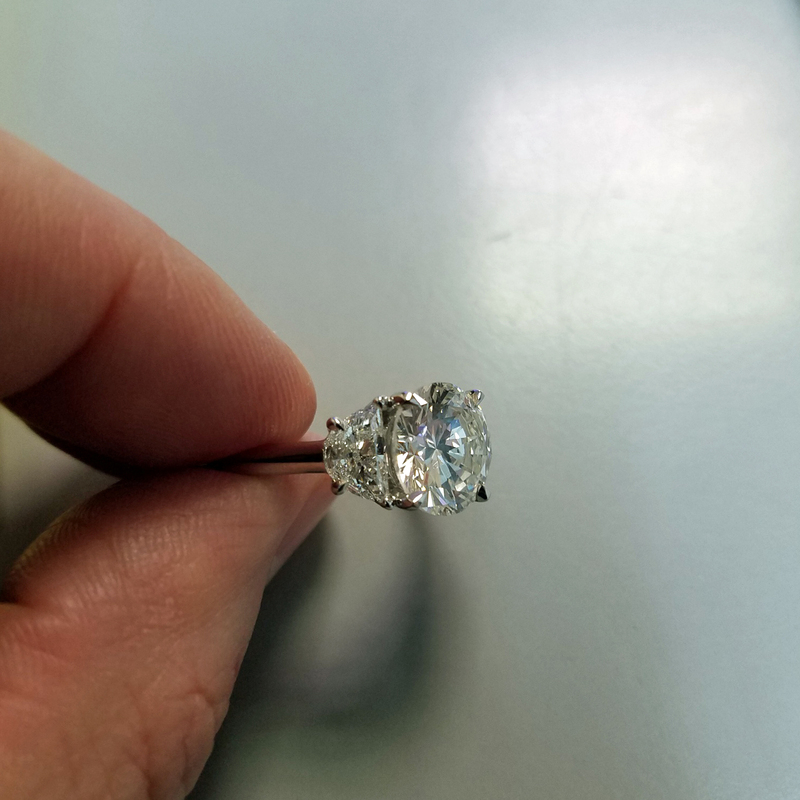 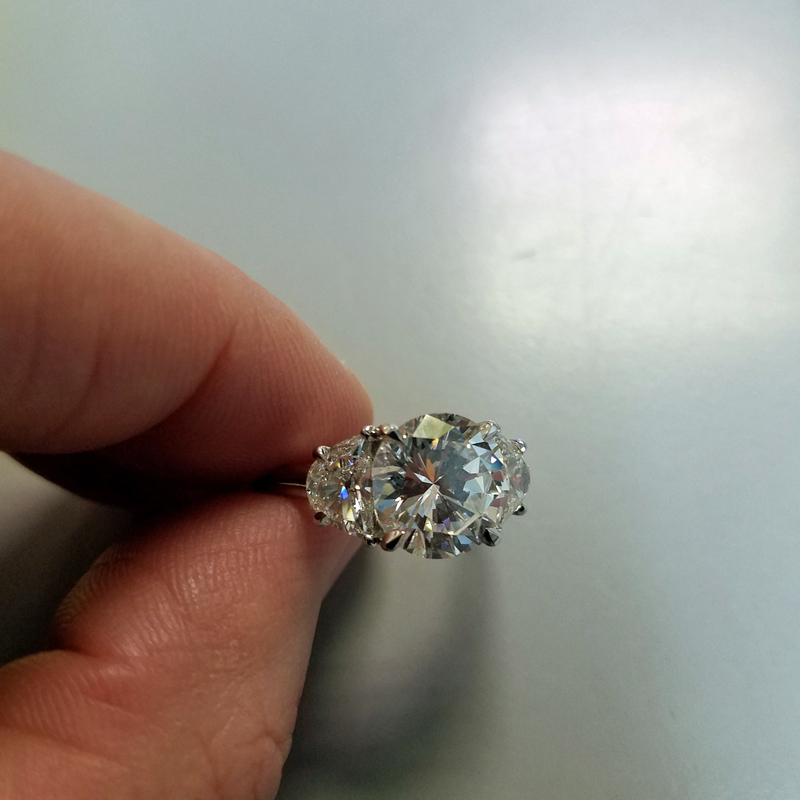 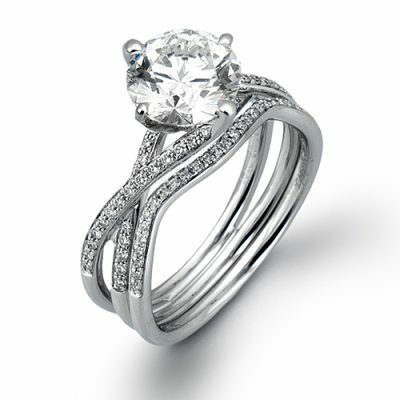 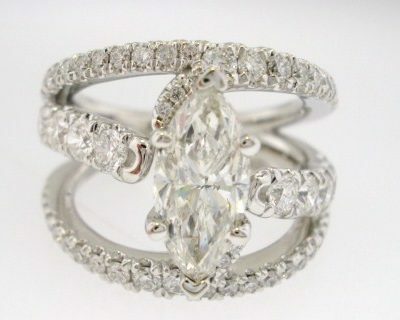 We match the center stone for proportion & quality, then make the ring to fit the stones. 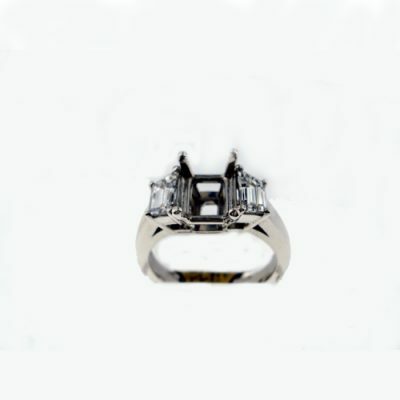 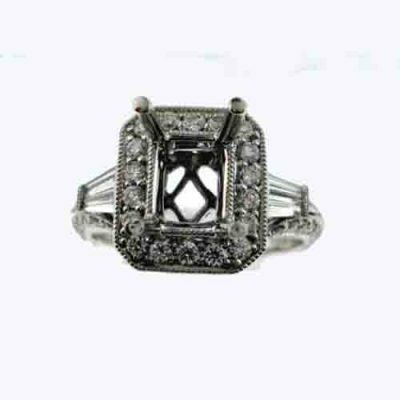 18kt white gold diamond criss cross engagement mounting & wedding band – .14 ct + .08 ct.